2017 was an unpredictable year for gamers. Some of the year's best games came from surprising places, from indie smash hits to a resurgent Nintendo, while venerable studios and established franchises stumbled and fell. Here at the end of the year, though, 2017's very best games ended up coming down to a handful of consensus candidates, with far less debate and vitriol than in previous years directed towards the front-runners and also-rans. As with all media, the gaming world continues to grow more fractured and niche, but 2017's big hits were games on which almost everyone could agree. 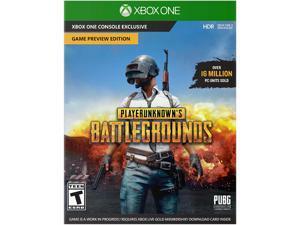 One of the year's biggest surprises, hottest trends, and most undeniable hits was PlayerUnknown's Battlegrounds, a game which shattered player records and is only growing bigger as the year draws to a close. For most of the year its "Early Access" nature perhaps protected it from the same intensity of criticism that would have targetted an officially finished title, but despite the bugs and problems with cheaters and hackers, legions of players dove into the action again and again. 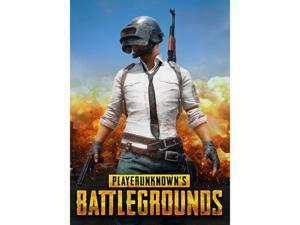 Even now that the game has crossed that nebulous threshold and is actually "released" there is still a lot of room for improvement, but if Game of the Year was awarded based purely on the fun and excitement surrounding a title, it would be hard to argue with PUBG as a frontrunner for 2017. 2017 was also a year of great games that transcended or refined their genres. We wrote a lot about Injustice 2, the DC Comics-based fighting from the team behind the Mortal Kombat series. 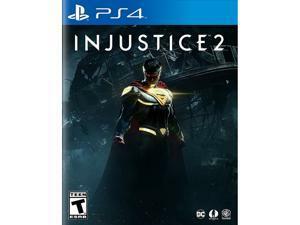 This is an absolutely fantastic fighting game for people who don't normally like fighting games, and who don't enjoy getting their butts kicked via online play, because it offers basically endless, high-quality single-player content. 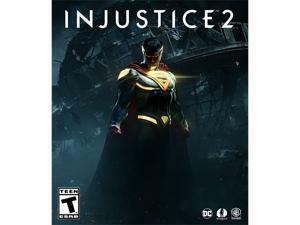 Injustice 2's loot system, cinematic story mode, individual character endings, and the rotating challenges of the Multiverse offer players tons to do without every needing to battle other actual humans, and the exciting and eclectic roster of characters is only getting crazier and more fun as further DLC is released. In the world of PC-only titles, there might not have been a better one than Divinity: Original Sin 2. Building on the familiar elements of isometric RPGs that its predecessor refined, Original Sin 2 offers turn-based tactical combat with layers of depth that can take many hours to master. It's also the rare RPG that isn't just co-op friendly, but might actually be better as a two-player experience, and the elements that often produce tension in other co-op RPGs (like players not agreeing on a course of action) are baked right in to the mechanics of Original Sin 2. This is a game that can be intimidating to those new to the genre, with item slots and spells and statistics to manage right from the start. But for those who enjoy this style of game, Original Sin 2 might be the best execution of the form released in a decade or more. "Persona 5 is the best game I have played this year and one of the best RPGs I have played in the last decade. It’s filled with incredible combat, addicting side-quests, fantastic characters, and a dark and compelling meta-plot. It has raised the bar for JRPG excellence and will be the new standard of perfection I compare most RPGs to. If you are even the slightest bit of a JRPG fan, you owe it to yourself to play (and replay) Persona 5. You won’t be disappointed." Stylish, engaging, and near perfect in many ways, Persona 5 delivers everything fans love about the series while also serving as a fantastic RPG all on its own. It received our first-ever 10/10 review score, was an honorable mention for Soundtrack of the Year, and was an easy pick for RPG of the Year, so it's no surprise it was also one of the best games of 2017 overall. Varying levels of difficulty and challenge make this game accessible even to those who are far from JRPG diehards, and the life-simulation side of the experience offers an addictive and funny take on the day to day experience of being a young person in Tokyo. Absolutely every aspect of the game, even down to the menus, is highly polished and a joy to play, and if you own a PS4 and have ever liked an RPG, you need to play Persona 5. "The similarities to Sunshine aren’t accidental. In fact Super Mario Odyssey feels like a 'greatest hits' album from Mario’s past. Aside from the water spitting squid, you’ll also find patches of ink and lava that you can clear out by wiping them down with your hat. From Super Mario 64 you’ll find magic paintings that can transport you to other worlds. You’ll even find pipes that turn Mario into his 8-bit self before challenging you to 2D platforming segments with mechanics that perfectly copy the original Super Mario Bros."
It isn't a huge surprise that Super Mario Odyssey is a good game, since basically every flagship Mario title ever made has been good or great. But Odyssey went above and beyond people's expectations with its breadth, depth, and polish. World after world of fun unfolds as you play through the game, each one absolutely packed with entertaining platforming challenges, puzzles, and secrets. 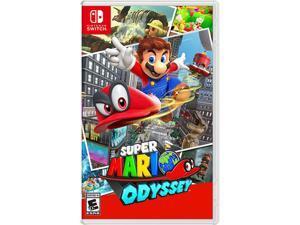 As discussed in our review excerpt above, Odyssey borrows proudly from the best features and mechanics of previous Mario games, managing to succeed at a "best of all worlds" approach with the return of old favorite gameplay while also introducing plenty that's new and surprising. And perhaps nothing was more surprising than the sometimes bizarre story elements thrown into the mix, with worlds of sentient mind-controlling hats and realistic humans that look nothing like Mario and a place where everyone is just eating and throwing up all the time. Super Mario Odyssey is also a magnificent marriage of software and hardware, with its plentiful moon and coin collectibles turning a giant game full of open world areas into easily manageable bite-sized chunks just perfect for the Nintendo Switch. Odyssey is a game you can play on the couch for hours (taking full advantage of motion controls which feel useful, rather than gimmicky) or bring with you on the go, grabbing moons and making progress during twenty minute subway rides. 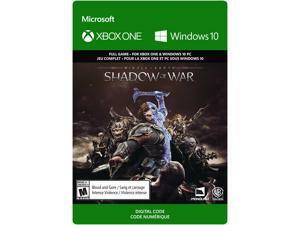 "In previews and trailers for Shadow of War it wasn't always clear how the different elements meshed together, but in practice it all feels natural, and you'll be using the same gameplay concepts and techniques whether you're taking on an individual orc captain or choosing an assault force to take down a fortress. You'll need to pay attention to damage types, orc strengths and weaknesses, and your own gear and skills to be able to capture a fortress, and the siege battles feel like an evolutionary step forward while still following the same "prepare than attack" formula that makes the open world gameplay so successful. The difference between attacking a fortress you've weakened and studied and an attempted assault of a fully operational castle packed with warchiefs is enormous, and the hours you spend in a region wearing down your enemies will pay off in that region's climactic battle." 2017 was the year the growing backlash against microtransactions and loot boxes finally exploded. While Star Wars Battlefront II probably deserved to pay the price for corporate overreach, Middle-earth: Shadow of War ended up unfairly tarnished by the furor. Yes, it included a marketplace in which you could buy weapons and orcs to fight for you, and yes, the end-game turned the grind factor up to eleven, but the whole game was so fun that all spending money would ever do would be to cheat yourself out of more reasons to keep playing the game. 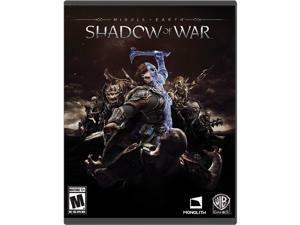 Shadow of War delivers a sense of escalating action better than any open-world combat game like it ever has before, as you'll guide the game's heroes up the ladder from individual orc killing to eventually become a Bright Lord who controls multiple castles and defends regions against the endless onslaughts of Sauron. The game rewards prep work and researching your foes before fighting (even better than any of the Arkham series ever did! ), and the difference between a properly prepared siege army and one just pulled together from random parts serves as a satisfying reward for hours of gameplay effort. The Nemesis System in Shadow of War is a triumph, serving up endless unique orcs for your to kill or dominate, each with procedurally generated strengths, weaknesses, and personality quirks that make them stand out from the grunts. Seeing one of your favorite orcs go down in the chaos of a massive castle battle can feel like a punch in the gut, while finally getting the chance to permanently kill an enemy who has escaped your wrath over and over again will have you cheering. If you're a die-hard Tolkien lore defender you might cringe at some of the liberties taken with the story, but for everyone else Middle-earth: Shadow of War is an entertaining fantasy epic that rewards smart play in a way few open-world action games manage to do. 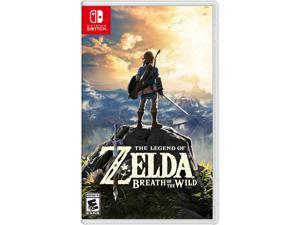 "Breath of the Wild deserves to be in the same conversation as legendary series entries like Ocarina of Time and A Link to the Past. The game really is that good. If someone were to tell me Breath of the Wild was their favorite Zelda game ever, I might debate them, but I wouldn't call them crazy. The developers have managed to give us the perfect mix of nostalgic elements with groundbreaking innovations sure to forever change the series for the better." Picking Breath of the Wild as Game of the Year isn't particularly bold or surprising, but that's just a testament to how unquestionably good this game is. It's likely to pick up a majority of the GOTY nods around the web, and it already won our Action Game of the Year award. Breath of the Wild is the best game of 2017, is in contention for the best Zelda game ever, might just be one of the best open world games ever made, and the superlatives could go on. Game of the decade? Best game ever? We'll need more time to pass to put the title in proper perspective, but the fact that you can even have those conversations (not something we could easily say for the runners-up on this list) is a huge mark in the game's favor. Breath of the Wild turned one of Nintendo's cornerstone franchises into a Skyrim-style open world action game that feels vibrant, refreshing, and logical. Beyond the core combat mechanics there's a whole ecosystem of mechanics and interactions that feed into one another, leading to wonderful emergent gameplay moments and surprising, out-of-the-box solutions to challenges. 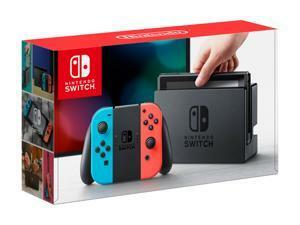 It might be hyperbole to say that Breath of the Wild saved Nintendo, but at this time last year, three months out from the launch of the unproven Switch console, the long-term role of the company in the video game landscape was much less certain. If the Switch stumbled in the same way as the Wii U, would it be Nintendo's last console ever? Would the company go the way of Sega, becoming an IP-first brand licensing its popular characters and franchises to hardware made by others? These questions seem silly now, but it took Breath of the Wild to disprove those doubts so completely. The game helped make the Switch a smash hit, and it demonstrated a willingness to embrace innovation and change that should mean great things for the future of Nintendo. Congratulations to Breath of the Wild, GameCrate's 2017 Game of the Year! Check out our full 2017 award list for more of the year's best games.